Hog Roast Aviemore recently catered Angie and Nathan’s engagement party and we entertained and satisfied their guests with a traditional centrepiece hog roast that looked, smelled and tasted simply amazing. When the couple got in touch with us about providing delicious food for their intimate, informal gathering with friends and family, they were concerned about the formality of their occasion and also the number of guests invited. We reassured them, however, that our professional team members treat all occasions the same, regardless of whether it’s a posh do or a casual affair, and we also cater any number of guests – from a handful to several hundred. 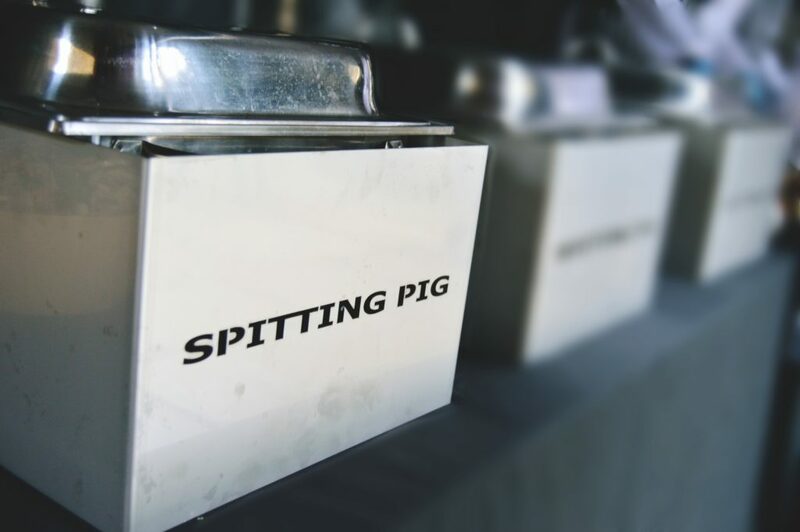 For this party, the couple asked Hog Roast Aviemore to make scrumptious pigs in buns from the hog roast, so on the day, our chef made his way to the venue – their back garden – and set up our equipment. With there being less than ten guests, our chef could easily cater it by himself, so after setting up our gazebo, serving table and hog roast machine, he got on with preparing the small pig that he’d brought along. Once the meat was prepped, the machine was turned on, the temperature was set to low, and then our hog roast machine was busy doing the rest of the work for the next few hours. It takes a long time to cook a hog to perfection, and it’s a process that can’t be rushed. Nearer to the time of service, after keeping a watchful eye on the meat as it sizzled away in its own juices, it was finally time for our chef to let it rest for a short while, so that it was at its optimum for juiciness. He then got on with getting ready the ingredients for the pigs in buns. As well as the fresh, floury bread rolls being sliced, our own recipe apple sauce and sage and onion stuffing needed to be dished up and the condiments and napkins needed to be set out. Once this was all done, and all the guests had arrived to the lovely aromas and spectacular sight, our Hog Roast Aviemore chef could serve up their slices of heaven. Try Out One of Our Hog Roast Paisley Machines Today!